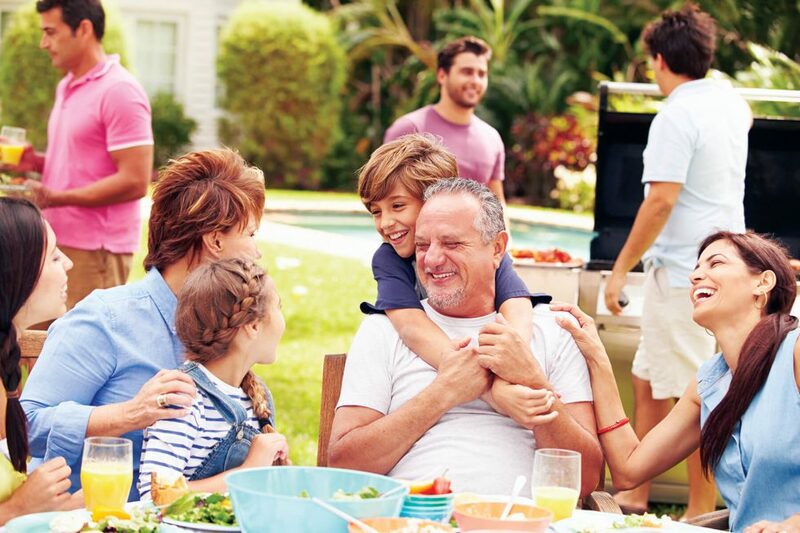 Given the demands of today’s fast-paced life, it’s no surprise that many families are choosing to live close to their parents—or their children. In some cases, multi-generational families are opting to reside under one roof. Research shows that most new homebuyers prefer to live in a community with people of various ages. That trend is part of the thinking behind Arden’s amenities design. In fact, Arden, a unique master-planned community coming soon to Palm Beach County, was specifically designed to accommodate the needs of residents of all ages, especially when it comes to staying active, a cornerstone of the Arden lifestyle. One feature sure to make waves with all ages is the refreshing multi-level, waterfall, resort-style pool. A short walk from neighborhood homes, the posh pool setting is a great family hangout. On the lower level, kids will love splashing around in the zero entry play zone close to the interactive splash pad and event lawn. On the upper level, adults will enjoy the more tranquil setting of peaceful cabanas, a spa and lounge areas. It’s the ideal place to spend the day with the kids or to savor a quiet soak. The two-story Clubhouse is designed to do double duty, too. The first floor is a welcoming space for families and children, with easy access to restrooms and the Fitness Center. The second floor, offers an outside entertaining pavilion, relaxing porches, easy access to the club room and WiFi café. There’s a proven connection between nature and improved health and well-being. With that in mind, Arden residents have multiple ways to enjoy green spaces, just steps from home. Almost every home site backs up to a park, greenway, lake or nature trail. Additionally, 19 miles of trails weave through the neighborhood and around the Clubhouse and lakes. That makes it easy to take a leisurely stroll to visit the neighbors, a brisk hike to get in your fitness steps or a pleasant walk to enjoy all of Arden’s amenities. Close to world-class equestrian facilities and the shops and restaurants of downtown Wellington, Arden is anticipated to open in early 2017. Want to learn more about Arden and everything this new community has to offer adults and children alike? Join our Founders Club to receive news and updates.